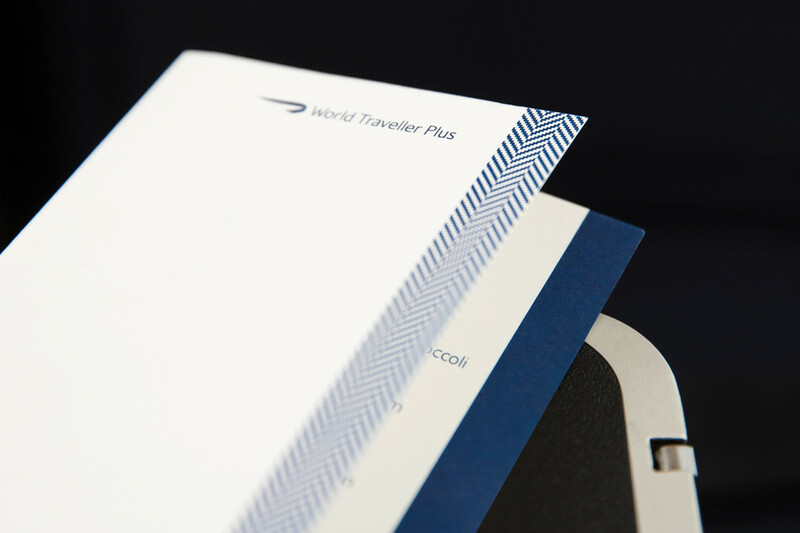 Reader Peter sent in a review of BA’s new World Traveller Plus service which launched recently. He upgraded with himself from world traveller whilst on business, as I know many business travellers do when they can due to “economy only” company policies. Over to Peter….. The plane was a 747-400 which had 4 rows with the latest version of WTP seat, with the nice big IFE screen (see attached) before departure we were offered water, orange juice or a glass of white sparkling wine, given a menu and a warm hand towel was also provided. As TLFL had mentioned the new WTP now has 3 main meal options. 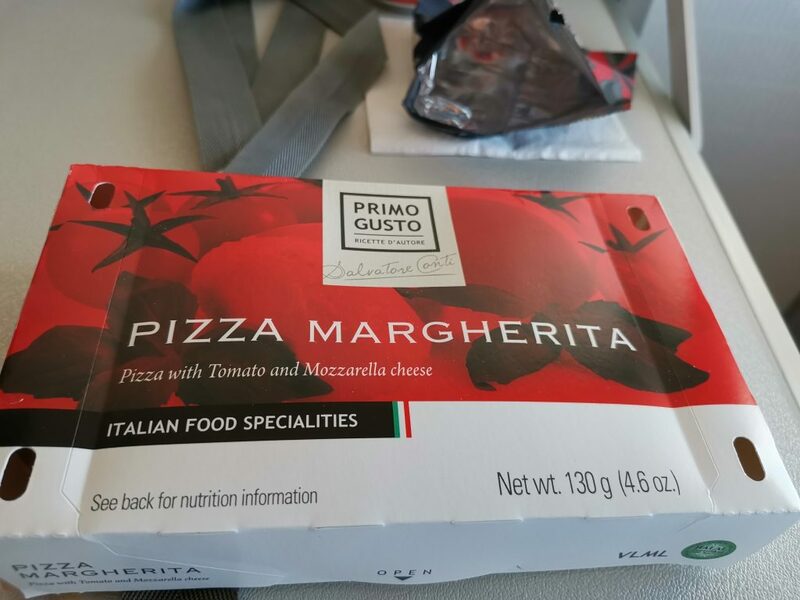 Now it’s great having 3 options, but not when you run out so quickly, as I said the configuration of WTP had 4 rows, I was in row 3, when the meal service got to row 2 on my side of the plane they had already run out of the pasta option. 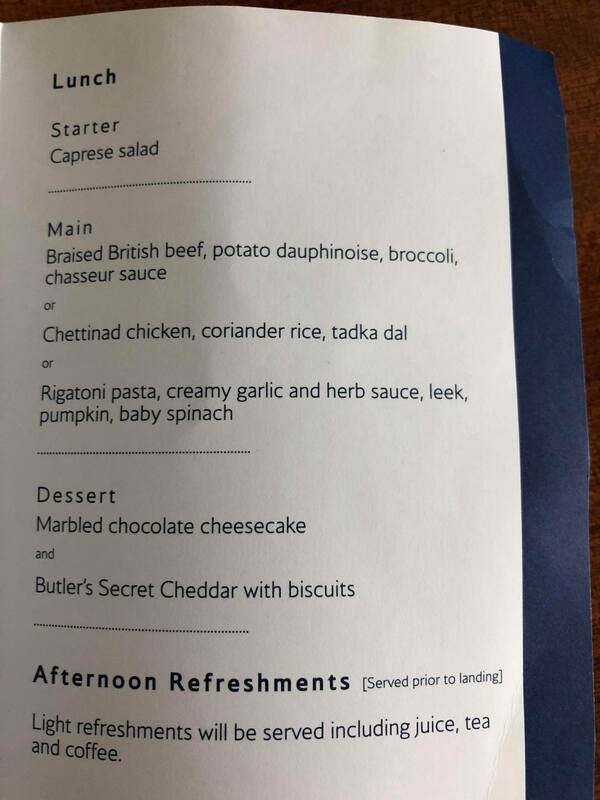 After serving my row they ran out of the chicken option so row 4 were left with only the beef option! Now I fly often enough that the airline isn’t going to load all the options for all the seats, but I felt that running out of options so quickly isn’t really giving that much of an improved product. One improvement was that we were offered a warm bread roll from a basket and not just a cold one supplied with the meal. There were the usual selection of snacks in the galley, crisps, pretzels and chocolate bars, which is what I would expect travelling in WTP. 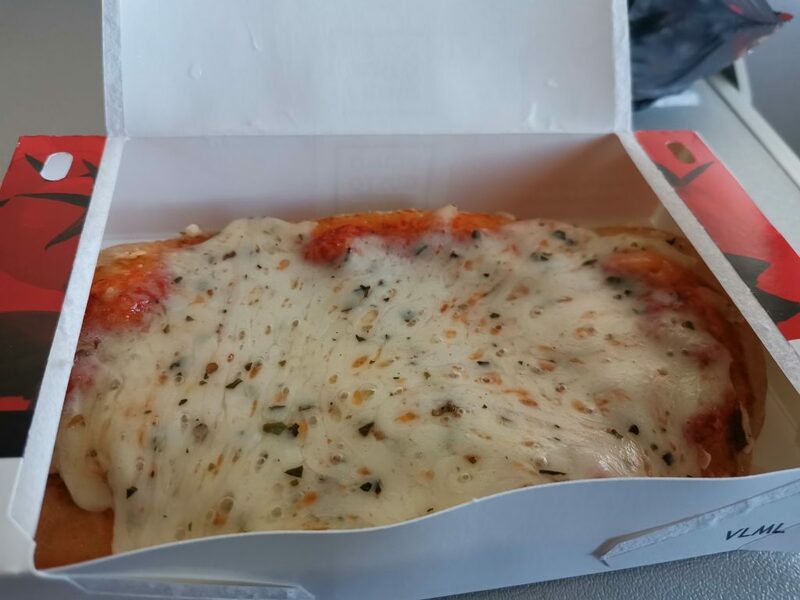 The afternoon refreshments/2nd meal service before landing was an individual pizza, which only had tomato sauce and cheese on it, that been said it tasted ok to me but I’m not sure this is that much of an improvement from the cold sandwich they used to offer in WTP? The spirts offered seem to be an improvement with Ciroc vodka and Glenlivet reserve whiskey. Overall I enjoyed the flight but I think that was mostly down to the cabin crew been so good and nothing to do with the improved WTP product. 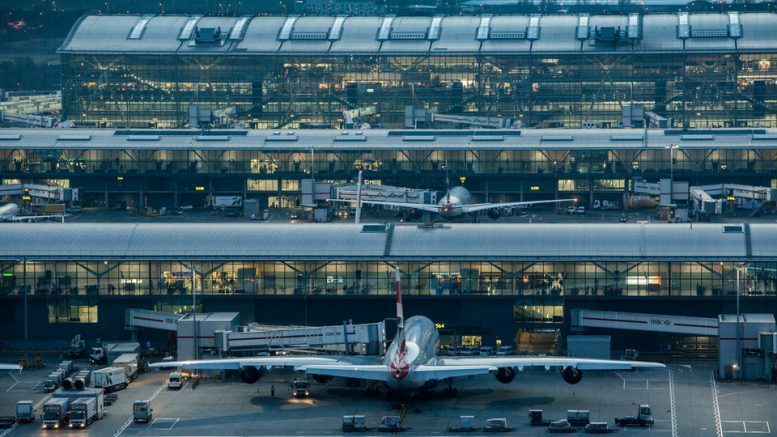 Two things of interest are happening at Heathrow and both are very rare! One is a 155 million year old dinosaur and the other is super fast free Wi-Fi in an airport. I will let you decide which is more of a rarity. 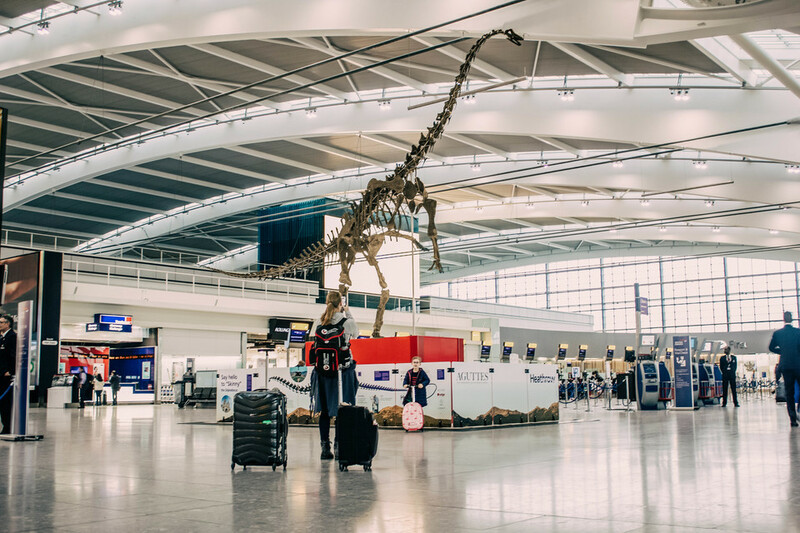 A 13 metre skeleton of a 155million-year-old diplodocus will be exhibited at Heathrow T5 check-in from the first week of April, before being sold by the French auction house Aguttes for an expected £2million. Archaeologist and special advisor to Aguttes Auction house, Eric Mickeler says, “This original skeleton is remarkable. It is currently the only diplodocus in the world with the imprint of its skin and therefore a world first. Heathrow airport already had free Wi-Fi but like most airports, it was pretty slow. They have now launched a super-fast wifi service in partnership with Boingo and even better it is still free! It should offer connection speeds of up to 100 Mbps which I will try out when I am there this week. The other good news is that if you are an existing member of the Heathrow Rewards loyalty programme you get also 100 points by signing into the new wifi with your Rewards account. 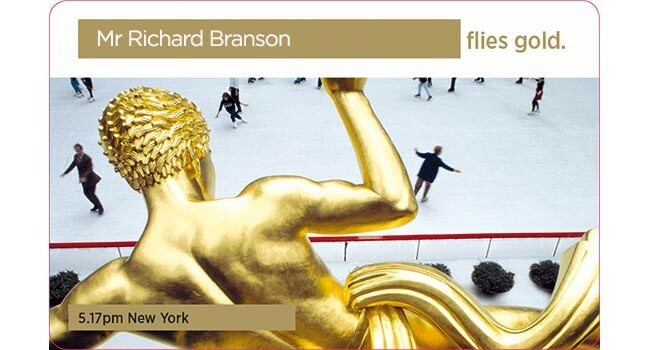 With the fairly new Virgin Money Virgin Atlantic credit card and the integration of the Virgin Flying Club with KLM/Air France when the current merger goes through, now could be a good time to consider whether it is worth collecting Virgin miles. 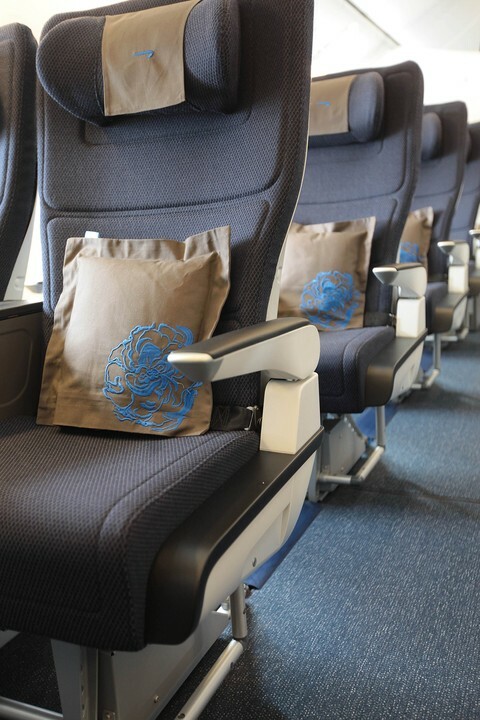 Even if you don’t want to spend them on Virgin or KLM/Air France there are some interesting options with the scheme including a great value ANA redemption to Tokyo and the opportunity to spend them on Singapore, Hawaiian or Air New Zealand amongst others. Every purchase comes with a one-off £15 transaction fee, and then it costs £15 for every 1,000 miles. So if you buy 1,000 miles you’ll pay £30, and if you buy 5,000 miles you’ll pay £90. The bonus is available on miles booster purchases too with a fixed 30% bonus. Miles Booster is a way to purchase extra miles (up to 200% extra on top of earned miles) based on how many miles you’re flying. It is cheaper than buying miles normally. You must already have a flight booked with Virgin to do it or you can do it up to six months after a flight. For example, for a trip to New York you could boost the 6916 flown miles by an extra 6,916 miles for £69.16 or double the flown miles for an extra 13,832 miles for £138.32 (excluding current bonus). You can boost future flights online or past flights by calling Flying Club. You can find more details on miles booster here. So is it worth buying some? As usual, I won’t look at how much a mile is worth, more what you could use them for. 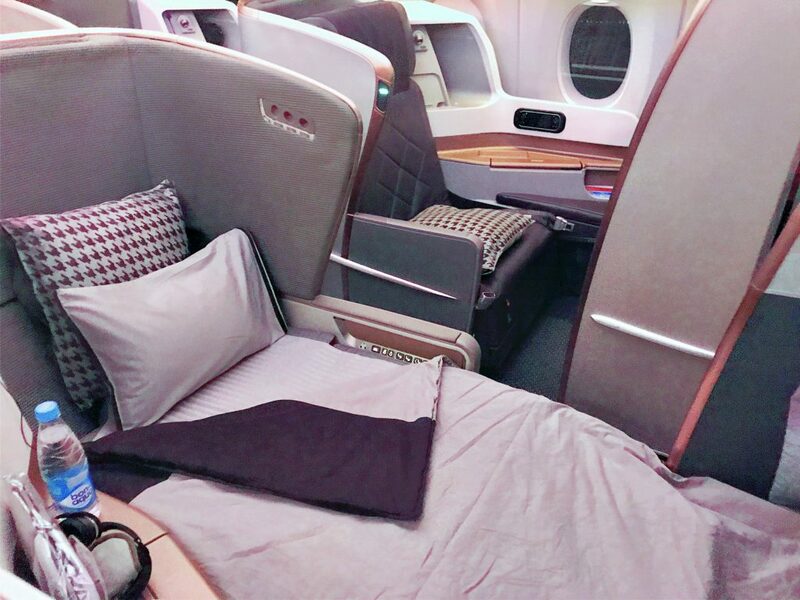 If we take a return from London to New York in Upper Class in November, for example, it would cost you on average £2000. Obviously, you can get the odd sale or ex Dublin bargain but as an average price, this is about as cheap as it gets. To buy the flight with miles (95,000 off peak) it would cost you to buy the miles (74,000 + 22,200 miles bonus) a cost of £1050. Even adding in the taxes and charges of £533 it still makes the cost nearly £500 cheaper at £1583 than buying the ticket for cash. Obviously, you wouldn’t earn any miles on a miles ticket but in terms of saving money it works. At peak reward pricing (115,000) it may be less cost effective and it would also depend on the destination. 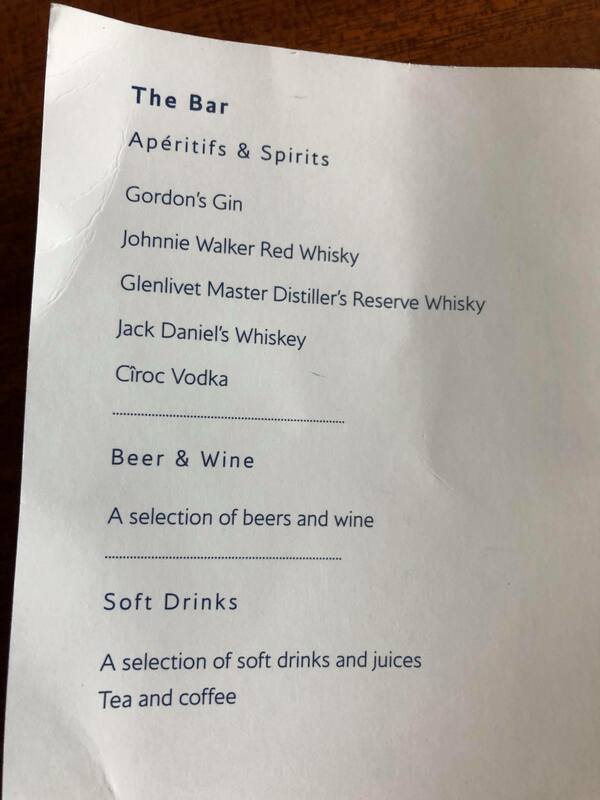 However, if you are considering flights to somewhere on the Virgin network it could be worth seeing if this could be a cheaper option than a cash ticket. It is easy to search for award availability on Virgin over a 5 week period so you could check first before you buy the miles. But, be aware there is always a chance the flights could disappear before you have had a chance to book them! It could also be worth considering for a one-way ticket if you need one as these are traditionally very expensive. I would only buy them if you have a specific use in mind for these sort of quantities. Otherwise, there are other ways to top up such as American Express Reward points or the Virgin credit cards which come with a bonus. For me, the miles booster is worth doing normally as a cheaper way to buy miles so with the bonus it’s a no brainer! You can find the Virgin buy miles page and offer details here. 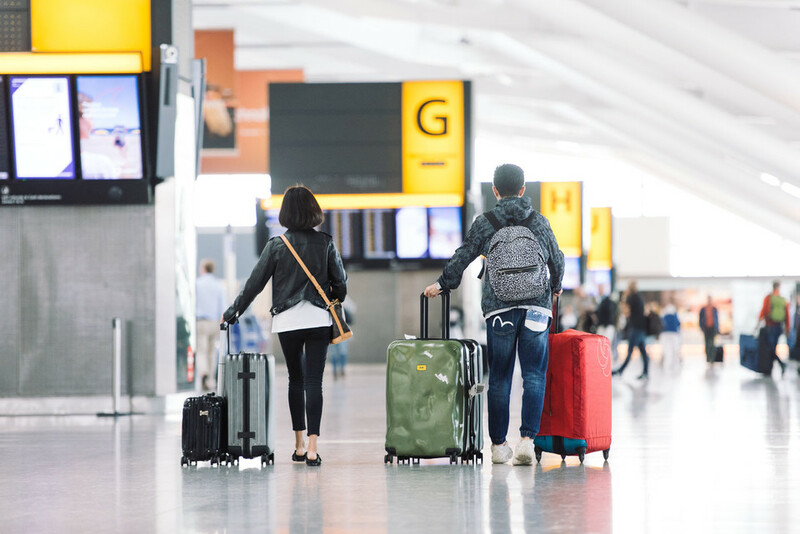 2 Comments on "Offers & news: Mini new BA WTP review, Heathrow happenings & Virgin miles bonus"
Wouldn’t the max purchase be £1515 for 140,000 miles? Can anyone actually access the buy miles page on va.com? All the ‘buy miles’ links get me back to the same page – or the flight search page.